With perfect vision, the eyes and the brain work together as a team. When one eye is doing the majority of the work, the resulting condition is known as amblyopia, or lazy eye. At Bruce Coward & Associates we see a large number of children with this condition, and it can be a major cause for poor grades or behavior in school. If left untreated, it can cause permanent vision loss, but when it's caught early our eye doctor can treat it successfully. Amblyopia starts in infancy or very early childhood, and usually only one eye is affected. When the brain works exclusively with the stronger eye, eventually the weaker one won't see normally, even with eyeglasses or contact lenses. It can be hard to diagnose, especially since it appears very early in life, but one symptom to look for is misaligned or crossed eyes. If you notice this symptom, check further by covering one eye, and then the other one. If your baby fusses when one particular eye is covered, she may have amblyopia and her eyesight should be checked. In some cases, we can correct the problem by fitting children with eyeglasses or contact lenses that correct the vision in each eye. For most children, though, we'll need to employ a patching system to retrain the brain. We cover the good eye with a patch, forcing the brain to rely on the weaker eye for information. As the weaker eye does the work of both, it gets stronger, because the brain is forced to pay more attention to the information it sends. Your child may need to wear his patch for several hours each day, or even all day long, and the treatment can last for a few weeks to some months. 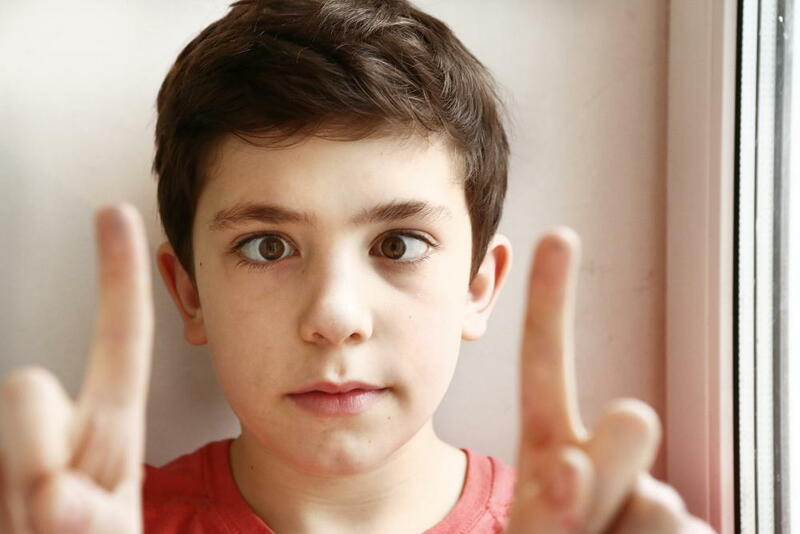 Although progress has been made on improving the vision of older children and adults with amblyopia, the accepted cutoff age for treatment has long been considered eight years of age. Early treatment is the best insurance for success, and diagnosis is only possible with a comprehensive eye exam. Our doctors of optometry suggest your child have her first eye exam at around six months old, then another when she's three, and another right before she begins kindergarten. We have three offices to care for your child, all staffed with caring staff ready to help your child with any vision problems she may have. Call our office for an appointment today, to give your child a better chance at academic success. You can reach us in Belleville at (613) 968-6560, in Trenton at (613) 392-6211, or in Brighton at (613) 475-3900.